At a recent Italian sparking wine tasting, one of the esteemed panelists suggested that Americans ruined Prosecco by turning it into just an ingredient in cocktails like Bellinis. I bit my tongue hard on that one, as it wasn’t until I was in Venice, Italy, that I was introduced to the Aperol Spritz and the wonders of what this both sweet and bitter orange flavored liqueur could do when paired with any average sparking wine, club soda, and a slice of orange poured over ice in a wine or old-fashioned glass. 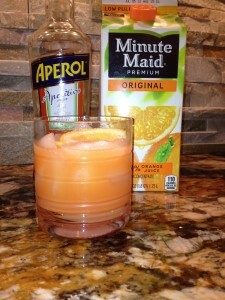 The Aperol bottle lists the exact recipe as the drink is famous. But it made me wonder, not about Prosecco but what other refreshing cocktails I could make with this $25 bottle of heavenly delight…. Those with the handy * mark are Eve tested and tasted, any of my tasting notes are in italics below. Ice, half a slice of orange. a jet of sparkling water. A piece of orange rind. 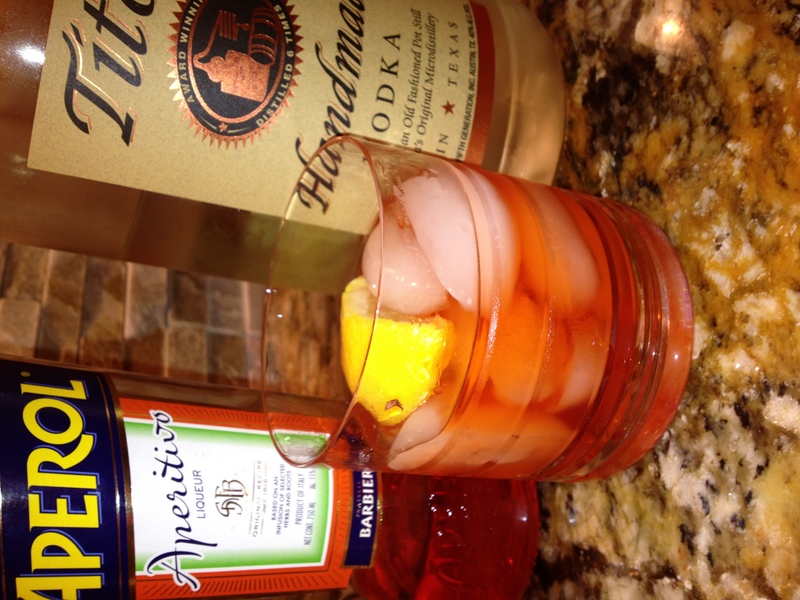 in a shaker, some ice cubes, shake well. Lots of ice cubes, mix. 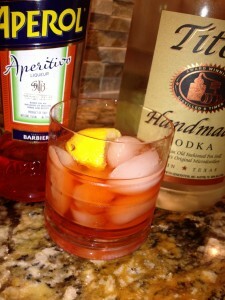 The name says it all: Aperol is the perfect aperitif. Bright orange in color, it has a unique taste, thanks to the secret recipe, which has never been changed, with infusions of selected ingredients including bitter and sweet oranges and many other herbs and roots in perfect proportions. 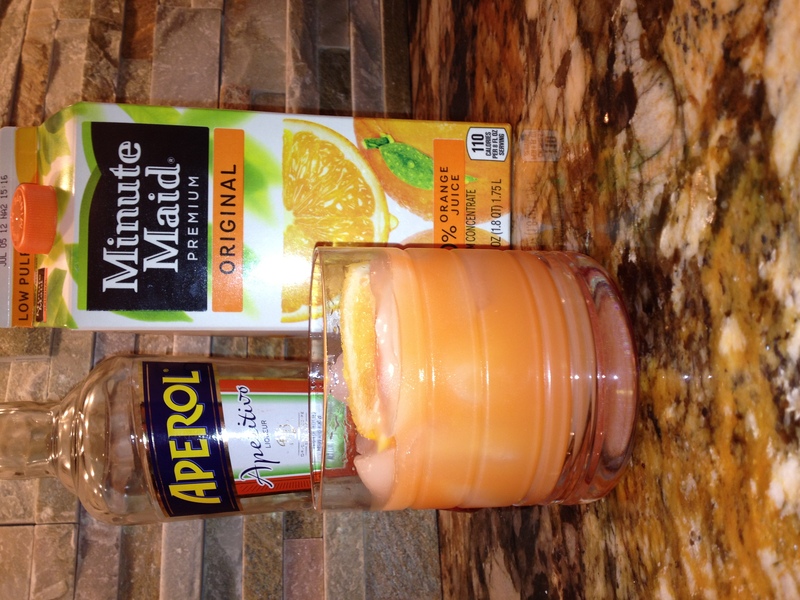 Aperol’s strength is in its low-alcohol content of only 11 percent. 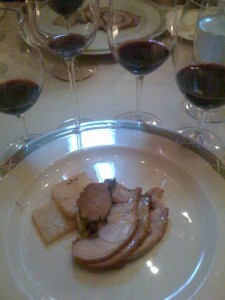 When I think of Summers Estate Wines (www.summerswinery.com), I immediately think of the red wine Charbono. The origins of Charbono are a little unclear. It is often thought of as an Italian varietal. The name Charbono certainly sounds Italian. But testing by famed grape geneticist Carole Meredith proved that the grape known as Charbono in California is the same grape as Corbeau from the Savoie region of France, where it is also known as Charbonneau. To confuse matters more, the grape is also known as Bonarda in Argentina. Very few California wineries produce wine from the Charbono grape, and Summers is probably the best known. 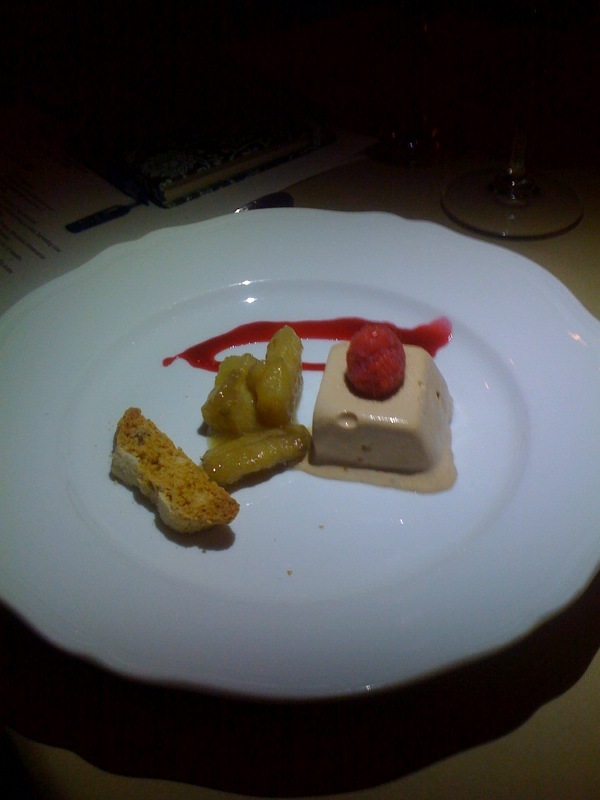 So when Chablis Food + Wine restaurant in Tarzana (www.chablisca.com) announced a wine dinner featuring a five course dinner matched with the wines from Summers, I was pretty excited. Winemaker dinners can be great. How many of us get an opportunity to match up several courses with appropriate wines, unless we host or attend a large dinner party? Unfortunately, these dinners can sometimes be expensive, but this terrific dinner was only $60 per person. Chef George Vasquez put together a great menu to match up with the various wines that Summers produces, as they do make more than Charbono, which you can see per the menu below. 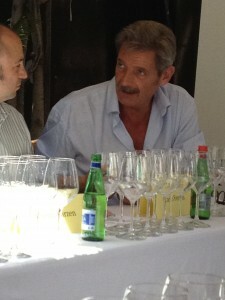 Also present at the dinner were Summers winemaker Ignacio Blancas and their National Sales Manager Bob Mazzola. As you can see from the pictures of the food, as well as our picture with the winemaker, old friends Heidi and Chuck Wiedeman, and new friends Andrea and Andy Kaufman, we had a great time. And a big “thank you” to the Wiedemans for taking these photos! We are definitely looking forward to the next wine dinner at Chablis. We were ready for our final stop of the day. 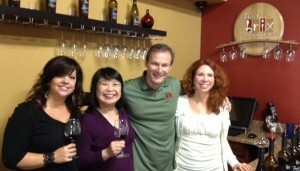 Gary Stewart, one of the owners of Four Brix Winery in Ventura, had actually set up our itinerary for the day. We had originally planned on visiting four wineries that day, but the amount of quality time we spent at the first two caused us to have to make a choice in the late afternoon. It became a no-brainer – not only had Gary set up our day, but my editor Eve had already raved enough about the Four Brix wines that I knew I had to try them for myself. Besides, based on what I had already tasted that day of Ventura County wines, I knew I’d be back – soon! Four Brix was hosting a blending party that day, with guests blending and tasting [and blending and tasting] various varietals to see for themselves how final blends are derived. [Four Brix is “big” on blends, but will bottle a single varietal if it is warranted.] So Gary was pretty busy with that, but Karen Stewart had time to guide us through a tasting of their current offerings. As mentioned above, Four Brix is focused on blends, and assigns colorful proprietary names based on the grapes going into the mix. All the wines were terrific, but the real standouts for me were the Zeductive and Rhondezvous (not surprising to anyone who knows me, I guess). Well, that wrapped up our day in Ventura County. I was left with a true sense of wonder – I wonder why it took me so long to make it out there and I wonder how quickly I can get back? A big thank you to all three wineries we visited and an especially big thank you to the Stewarts for setting this up and hosting us on the day they were so busy with their blending party. 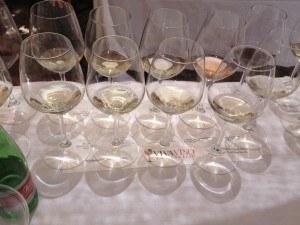 Eve’s Viva Vino LA Tasting: Italian Sparkling is not just Prosecco! A pretty impressive panel of experts was on hand, that included sommeliers, winemakers, and restaurateurs, to answer questions (sometimes in Italian!) and lead us through the tasting. For my wine 101 readers, and of utmost importance to the panel, is that most people think of Prosecco alone when they think of an Italian sparkling wine. Prosecco is the grape the sparkling wine is made from; but it’s the methods, like Champenois to make Champagne, and the grapes, like Pinot Noir or Sangiovese, that makes the wines’ “bouquet”. However, at least most people have moved from ordering a Champagne from a California winery; only wine made in Champagne, France, has that legal right. And with that, we have learned to order Prosecco when we want an Italian sparkling. 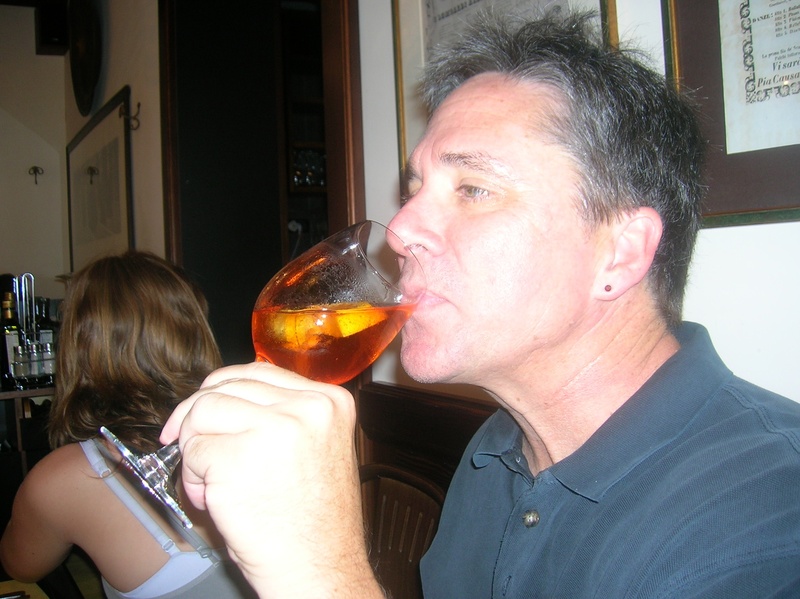 Over the years each region in Italy has changed over to making wines from regional grapes. In today’s event we were to taste wines made from the Prosecco grape but also the Nebbiolo grape, the Pinot Nero grape (In the U.S. this is the Pinot Noir grape), the Sangiovese grape and others. Other things we learned was that some wineries will try things like aging wines in chestnut or cherry wood casks, but, as winemaker Carlo Ferrini said, they only experiment with 1 percent of the wine. Very clear in color followed by aromas of lime, white peach, honeydew and butter cookie. The taste was crisp green apples and golden juicy peaches. 90 Eve pts. Slightly golden with a darker edge when compared to the color of the Balan, and a nose of honeydew, candied pear, juicy pineapple. Lemon-lime, pear and white peach on the mouth. 92 Eve pts. Clear with a pale blond edge in the glass, a nose of crisp green caramel apple and white peach, and a mouth full of biscuit, toast, pale fruit and creamy cheese. 88 Eve pts. Clear in color and stretching out to a hay-colored edge, followed by perfumy aromas of honeysuckle and cantaloupe. The taste, a little higher than the others on acidity, had a long-lasting pink grapefruit feel. 92-95 Eve pts. My favorite of the line up. Clear in color with just a ribbon of green on the edge, this sparkler had aromas similar to a Chardonnay, as well as some oak and stinky cheese. The taste was high in acidity, oak, baked apple that made me think there was some age on it, and a medium finish. 87 Eve pts. Pale yellow in color followed by yeasty aromas as well as biscuit, Brie cheese and wet stones. 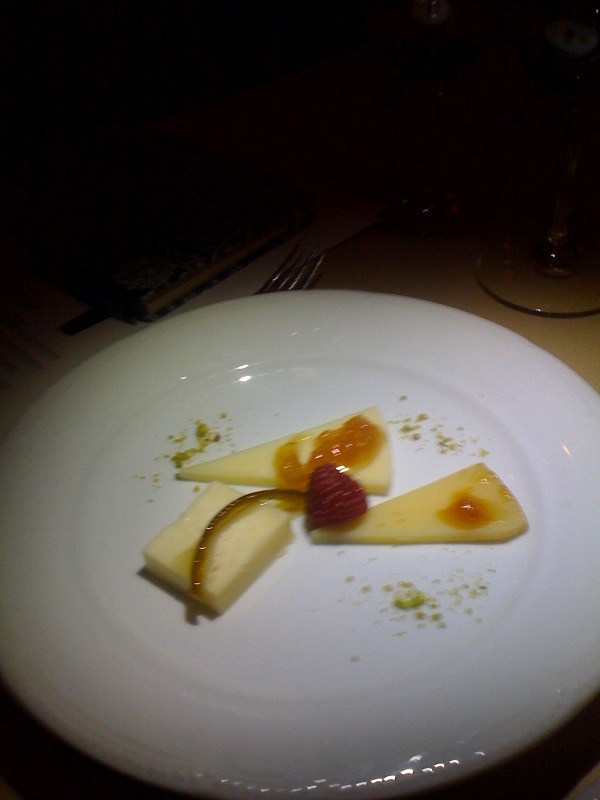 The taste included the same biscuit and toast but gave way to orange, lime and a lingering acidity on the finish. 90 Eve pts. A color of pale hay and then aromas of a fruit cocktail: pear, peach, pineapple and cherry. The taste was all red delicious apples in an ambrosia salad. 88 Eve pts. Clear and pale in color with aromas of strong stinky cheese, green grass, lime and wheat toast. The taste gave way to lemon, biscuit and the palest hint of honey. 87 Eve pts. From across the room I nailed the color as it was poured: peach sherbet with an orange brandy-colored edge. My nose was filled with sharp cheese, sweet pickles and a tiny sliver of butter. 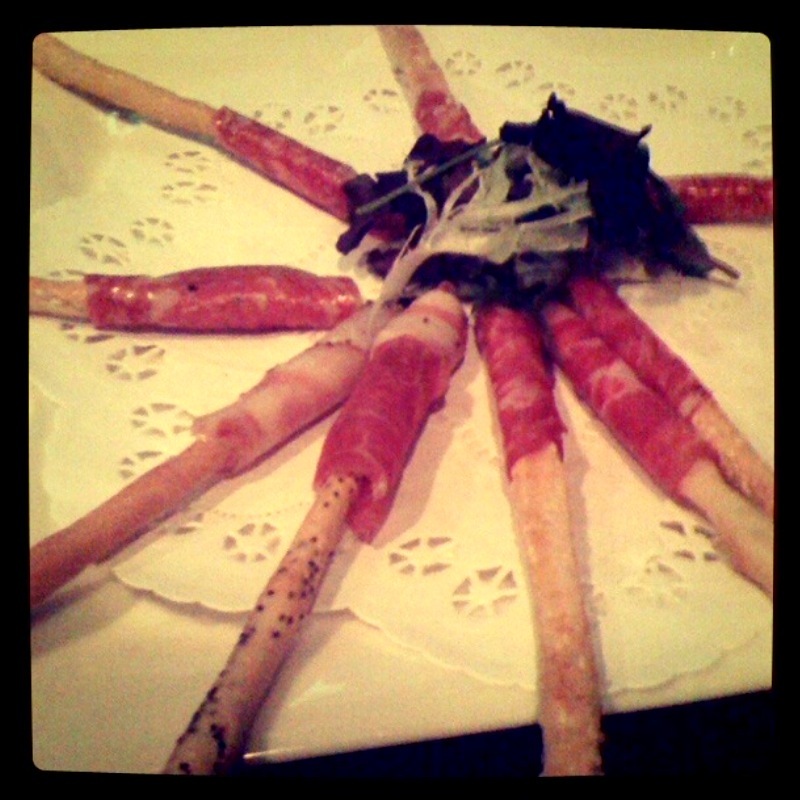 On the mouth the sharp cheese returned softened only by dried rose petals. 87 Eve pts. Opaque garnet in color with aromas of mint, red fruit, wet wood and stewed mushrooms. I got milk chocolate and dry dark red fruit on the palate. 85 Eve pts. 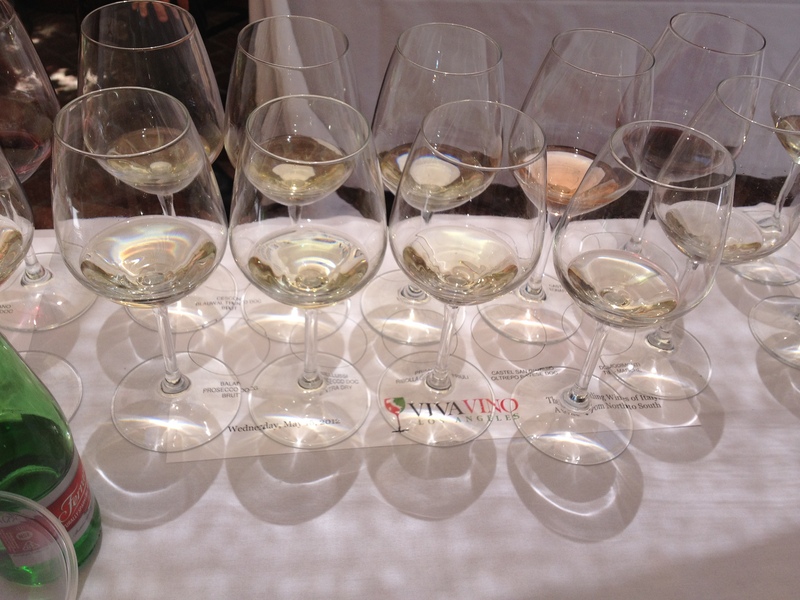 VIVA VINO LA is the largest Italian wine event staged on the West Coast. From seminars to tastings to dinners, VIVA VINO LA offers an exceptional array of events for consumers and trade to experience Italian wines made with native grapes. VIVA VINO LA provides the opportunity for the wineries that produce these wines to meet importers, buyers, retailers, press and consumers from throughout Los Angeles and Southern California, one of the largest wine markets in the United States. There are over 3,000 wine grape varietals that grow in Italy; VIVA VINO LA gives these native vines visibility and educates the trade and consumers about their styles and the terroirs. Partnering with a carefully selected group of restaurants and retailers that represent the best of Italian culture in the Los Angeles area, VIVA VINO LA offers a variety of events to throughout the city to engage and entertain. For more information, visit www.vivavinola.com. 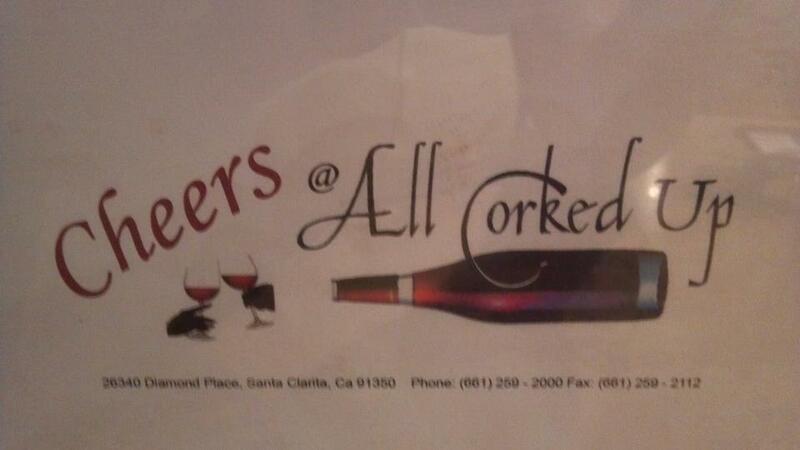 I know that Cheers @ All Corked Up has barely been open a couple of weeks, but Chef Carolyn is already going to prepare a wine-pairing dinner. 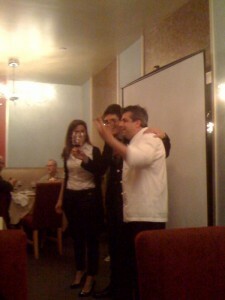 For the first one, she chose Italy – a five course dinner with wines to match, for $75 per person. 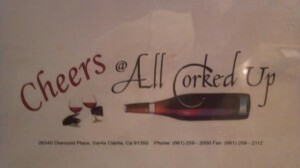 $75.00 Per Person plus tax and gratuity. (April 26, 2012; Los Angeles, CA)—The 7th Annual LAWineFest, benefiting City of Hope, has partnered with Los Angeles magazine in lining up 350 global vendors to pour more than 500 wines, craft brews and artisanal spirits at this year’s event. Known as the largest educational wine tasting event in Los Angeles, LAWineFest affords Angelenos a chance to sip selections from Slovenia to Chile, and attend a variety of classes offering an in-depth look at various regions and libations. Iconic California regions such as Napa, Sonoma, Paso Robles, and Santa Barbara will be solidly represented, along with more exotic choices from Israel’s Dalton Winery and Bock Prince of Hungary. Other highlights include sparkling wine from Le Grande Courtâge of France and fine spirits from Scotland. New food options for 2012 include a fresh seafood feast of oysters, clams, seafood salad and more, prepared by Cafe Sierra at The Hilton Universal. Gourmet food trucks will offer sliders, gourmet sandwiches, seafood, cupcakes, cake pops and other epicurean delights. 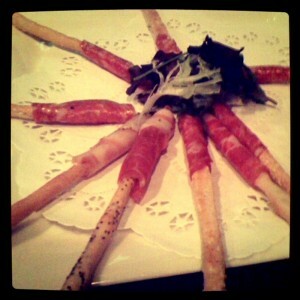 All food items are priced starting at just $3 per plate. Pisco Porton’s mixologist and Comme Ça bartender Yuval Soffer will be on hand to make his specialty cocktails, including the Garden of Eden made with Pisco Porton, Cointreau, lime, simple, fresh fennel and strawberries. “Dry Creek Valley: A Century of Great Zin,” featuring an all-star lineup of top Zinfandels from this renowned Sonoma County region. Cheese & Wine Pairing with The Cheese Impressario Barrie Lynn and Malibu winery-owner George Rosenthal of Rosenthal Wines. Scotch Tasting (both single-malt and blends) with Chris Uhde, Scotch Master for the USS Highland Games Costa Mesa and Brand Ambassador for Impex Beverages and Chieftain Single Cask Whiskies. Accommodations: Just 15 minutes from Raleigh Studios, The Hilton Universal is offering a special LAWineFest rate of $169/night for all event attendees. Rate is available from Wednesday, June 6 – Monday, June 11. Visit LAWineFest.com for more details. Tickets: $75/day; $139/couples or weekend pass (includes all wine tasting; food priced separately). 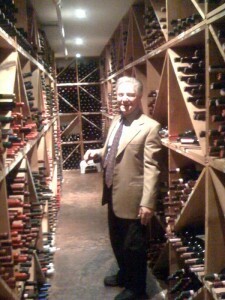 Early-bird pricing available; visit LAWineFest.com for details. Los Angeles magazine is the definitive resource and indispensable guide for in-the-know and on-the-go Southern Californians. A regional magazine of national stature, Los Angeles is the authority on everything from cutting edge cuisine, style trends, and thought leadership to all that is the Best of L.A. Available every month in print and every day online at LAMag.com, Los Angeles magazine covers the people, lifestyle, culture, entertainment, fashion, art and architecture, and news that define Southern California. Additional sponsors include Southern California Land Rover retailers, Icelandic Glacial Water and The Hilton Universal. 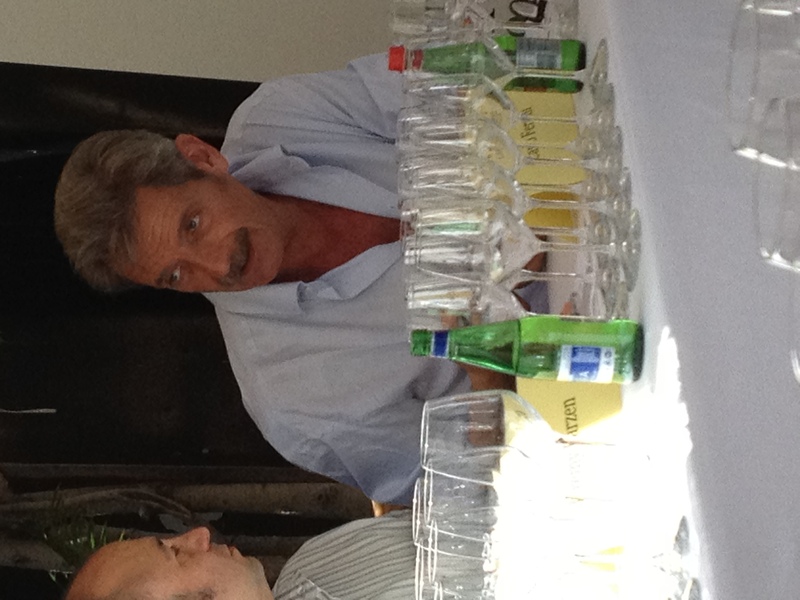 5 March 2012 — London — The Extreme Wine Experience 2012 is the ultimate wine boot-camp. It will take place 17-21 June at La Verriere, a vineyard and beautiful private wine estate in Provence, France, home to the award-winning Chene Bleu wines(www.laverriere.com). The Extreme Wine Experience is considered one of the world’s most intensive, thorough and rewarding wine courses. This 5-day full-immersion programme is an exceptional way to learn. It covers all major grape varieties and wine regions of the world and includes hands-on experience in the vineyard and the winery as well as learning to blend. Beginners ‘crack the code,’ while they boost their confidence and tasting skills; experienced collectors can refine their knowledge and practice their wine appreciation in individual tutorial sessions. The course was developed with Clive Barlow MW, the Education Chairman of the Institute of Masters of Wine and a 2012 panel Chair for the International Wine Challenge, and is taught by Barlow and New Zealand’s Nick Dumergue, a teacher at the International Wine Academy of Rome, and a senior judge with the International Wine Challenge. The Extreme Wine Experience combines the systematic approach and official qualification of the internationally recognised WSET Level 2 Award Certification* with the proprietary Chêne Bleu (Art of Food and Wine Pairing) Certification**.The thoughtfully crafted curriculum, offered in conjunction with the London Wine Academy, is taught in English and includes learning to decipher often cryptic wine labels, how to stock, manage and accessorize a wine cellar or wine collection and an additional focus on wine and food pairings. Each day is packed with lectures, tastings with over 100 top-rated benchmark wines, field trips, amusing wine challenges, and gastronomic meals accompanied by carefully matched wines from around the world. Attendees focus on the difference between good wine and great wine – from the soil to the vine to the winery to the glass to the palate. The featured Chefs for 2012 are Jean-Claude Altemeyer (Le Gavroche in London, La Cote Saint-Jacques in Paris, etc.) on loan from the Michelin-starred La Mirande Hotel in Avignon, and Jon Chiri ( formerly of California’s San Ysidro Ranch in Montecito, and the restaurant Catahoula in Napa). The tuition: class instruction and bespoke customised private tutoring, all study materials. 6 nights’ luxury accommodation in a stunningly restored 9th century Medieval Priory with 21st century comforts, or the Bastide next to the winery. Double occupancy rates available for couples and friends wishing to share. Group discounts offered. 3,500 Euros per person (does not include the wine course). OTHER DATES AVAILABLE FOR PRIVATE GROUPS AT MUTUALLY CONVENIENT TIMES: custom programs including Masterclasses. *The Wine and Spirits Education Trust (WSET) is an international licensing organisation of the wine trade. The Intermediate Certificate in Wines and Spirits is an official diploma, recognized everywhere. To qualify, students must pass a one hour, 50-question, multiple-choice examination. It involves recommended minimum study of 14 hours prior to commencing the course (www.wset.co.uk). 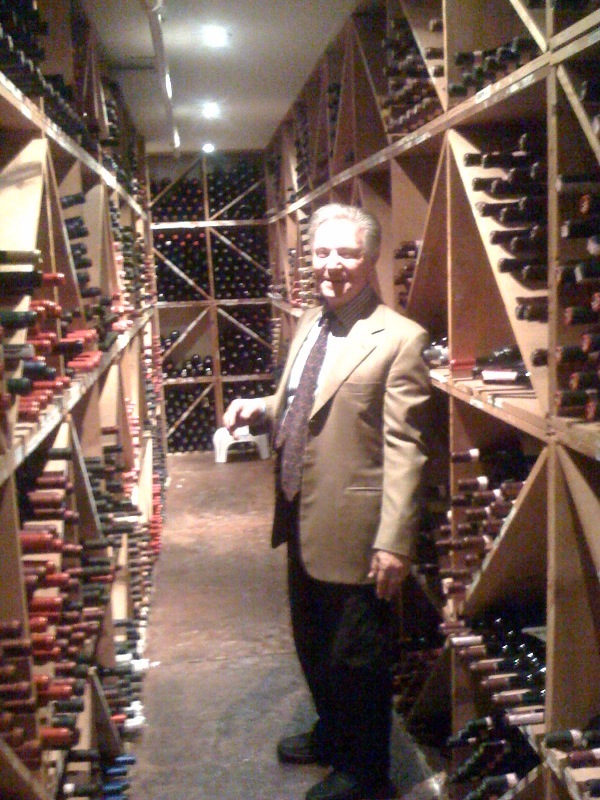 I can’t help myself, I know this story is all about a great Italian wine and food pairing, but first I just have to tell you that I TOURED ONE OF WINE SPECTATOR’S 74 GRAND AWARD WINNING WINE CELLARS – OVER 90,000 BOTTLES – WITH VALENTINO’S PROPRIETOR, PIERO SELVAGGIO. Piero took me by the hand, led me through the busy kitchen (though the chefs took the time to say hello and smile broadly) and up a narrow staircase – so narrow I had to go up sideways with Piero motioning for me to grasp the handrail. Once on the second floor, we were met with a small hall lined with framed Wine Spectator covers of Piero, James Beard awards, his latest Grand Award designation…I was already so overwhelmed. Then, one large room, with built-in large wooden boxes bisected with boards, held the start of the treasure trove. After that came hall after hall – going further back into a great beyond than we had time for – were more and more boxed sections of wines. 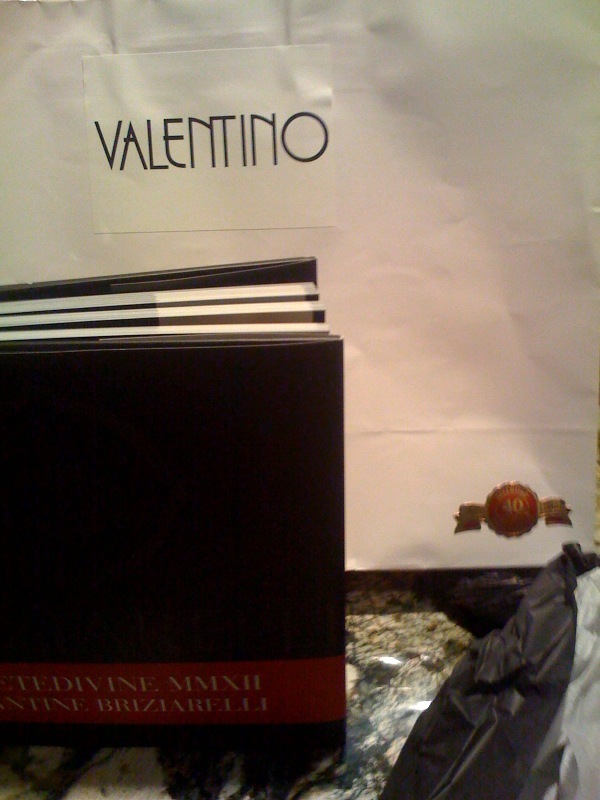 Piero pointed out special selections dedicated to the best from Italy, California…before we had to turn back. 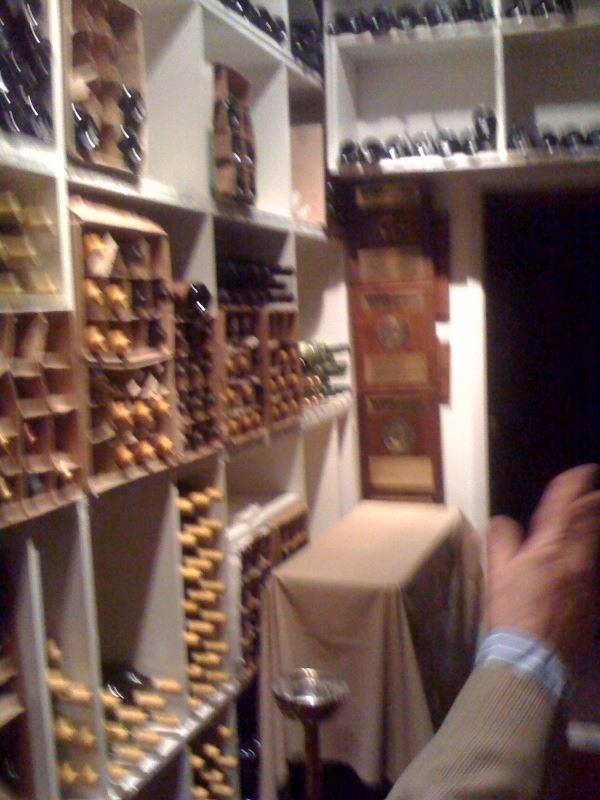 But Piero made sure I saw the Pièce de résistance: the private dining room set for dinner, lined from floor to ceiling, on all four walls, with cellared wines. When I reluctantly returned downstairs, overhearing Piero telling his maitre d’ that I had “kidnapped” him, I was already planning how to get back and…into that private dining room. Carbonara w/black truffles, paired w/ROSSO MATTONE 2008, 89 Eve pts. "Kidnapped" Piero Selvaggio in cellar w/me! 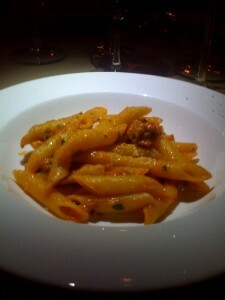 Sausage penne paired w/UNO NOVE ZERO SEI 2007, 87 Eve pts. Suckling pig, roasted potatoes, w/VITRUVIO 2007, 100% Sagrantino D.O.C.G, over 90 Eve pts. 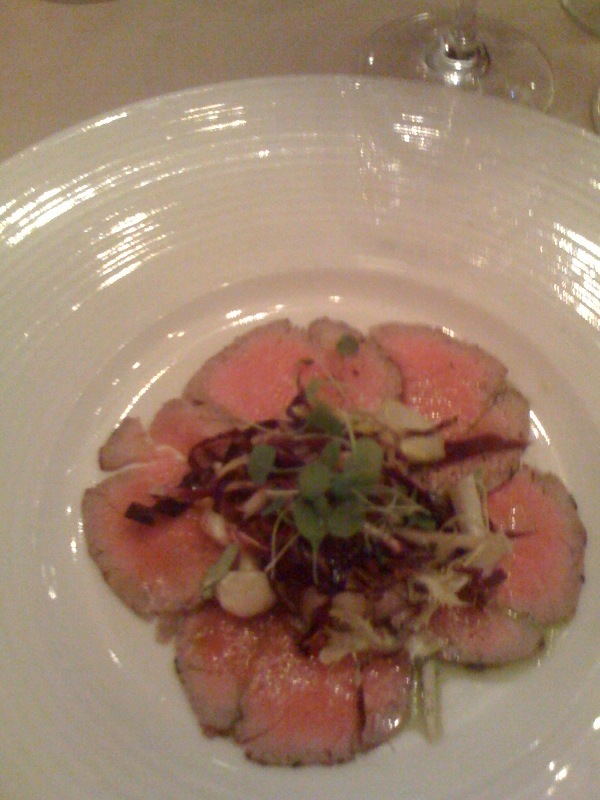 Veal Carpaccio, w/DUNA ROBBA 2010, 85-87 Eve pts. 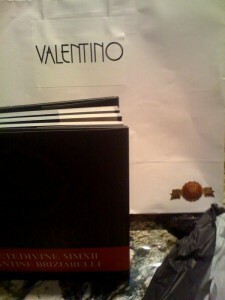 Valentinos wine room - photo from website, but it was set for dinner just like this! Italiaoutdoors, a provider of small-group, personalized recreational vacations in Northeastern Italy, announces their 2012 “Chefs on Bikes” tour, a guided cultural and cycling exploration of the culture, foods and wines of Northeastern Italy. Scheduled for June 24-30, the 7-day/6-night tour invites cyclists to learn from the culinary expertise of Chef Kathy Bechtel and is priced at $3895 per person, based on double occupancy. With a route covering 20-35 miles per day, the tour travels through the Veneto at the foot of the Dolomite mountains and along the shores of the Adriatic Sea. Recognizing the different riding levels of participants, the small-group size (maximum 8) allows for daily customization, including longer rides, and an immersive culinary and cultural experience. “Chefs on Bikes” follows one of the former trade routes that distributed spices and goods from the East throughout Western Europe, meandering through flat farmland, by 16th and 17th-century villas, around volcanic hills, and into the foothills of the Pre-Alps. Days begin with gentle, scenic bike rides, followed by a culinary exploration with cooking lessons and wine tastings led by Chef Bechtel. 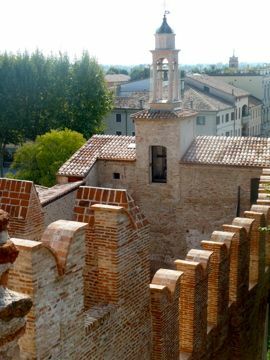 Accommodations are in elegant four-star villa hotels in Mira, Vicenza and Asolo. The program includes all transfers, all breakfasts and snacks, five dinners with wine, plus entry fees to museums and other venues. The program can also be scheduled as a private group trip of 4-12 cyclists. Italiaoutdoors is an owner-operated specialty guide service, offering individualized programs for small groups seeking to explore the beauty and diverse culture of Northern Italy. Hiking, biking and skiing programs are offered in combination with a culinary and culture immersion in the area. Participants share a passion for a healthy lifestyle and an appreciation for the region’s history, beauty, culture, wines and culinary delights. Because of their small size, tours are adaptable to the fitness levels and interests of individual guests. Daily recreation is balanced with cooking lessons, wine tastings, fine meals and cultural explorations. www.italiaoutdoorsfoodandwine.com. Italiaoutdoors offers bike routes for the more relaxed cyclist or more challenging rides for the stronger rider wanting aggressive hill climbs and longer days in the saddle. Ski itineraries include lessons for all levels of skier or snowboarder, guided resort skiing or backcountry explorations, and alternate activities for the non-skier. Hikers can enjoy hut-to-hut treks across the spectacular Dolomites, or more leisurely day hikes with four-star accommodations. All tours include daily free time to discover and enjoy the culture and foods and wines that have made Italy a favorite destination. 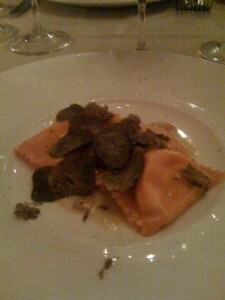 For more information and reservations, visit http://www.italiaoutdoorsfoodandwine.com.